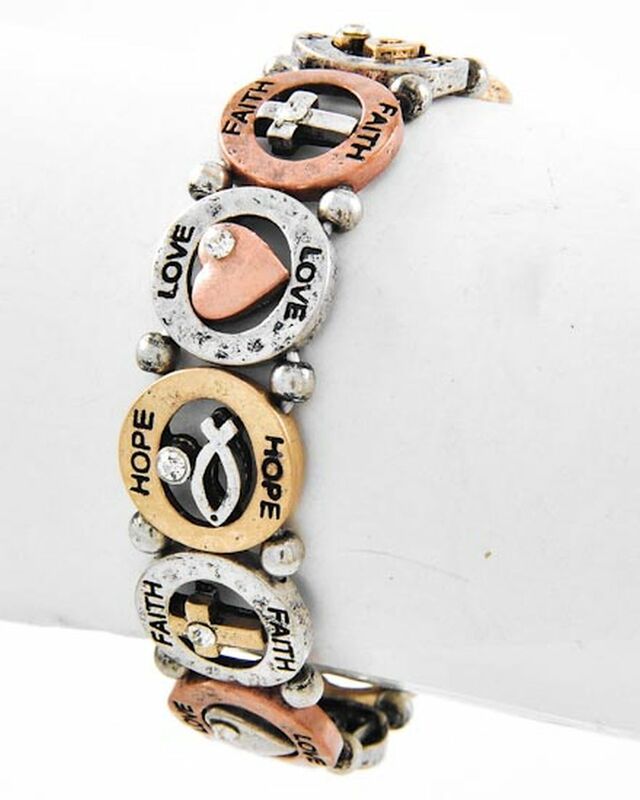 Get inspiration in Your Heart and on your wrist with "Faith Hope Love" inspirational message engraved on this absolutely gorgeous Three-tone Cross and Fish Stretching Bracelet, beautifully crafted with multiple Circles of Tarnished Silver, Copper, and Gold-tone metals with Crosses, Fish, and Clear Diamond CZ Stones, and connected together by a double elastic string. The Bracelet is 5/8" wide; feels Nice and Firm. 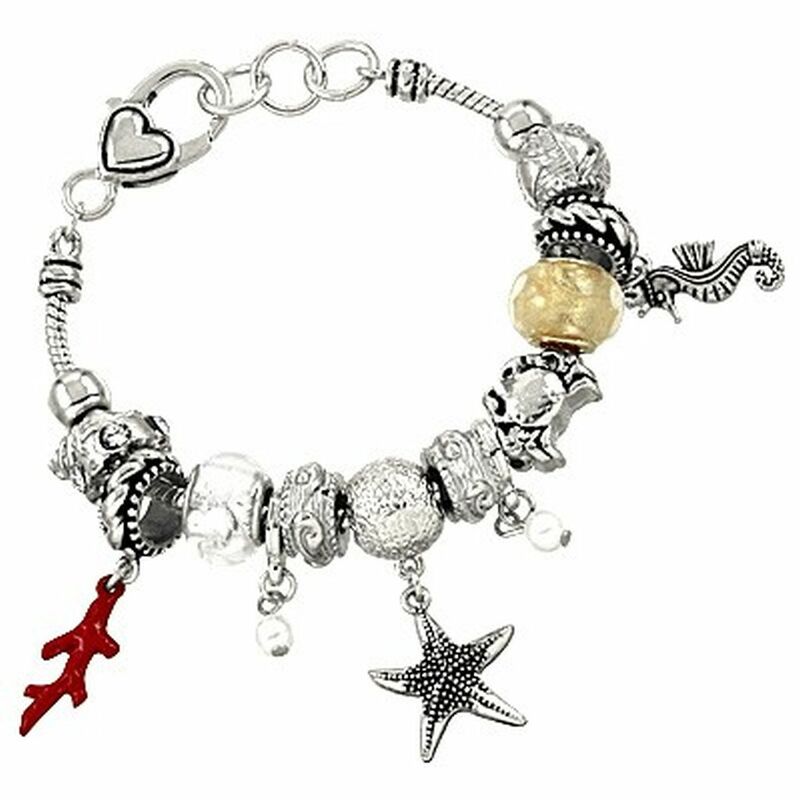 Anti-allergic Jewelry, Lead and Nickel compliant. 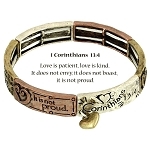 We offer large variety of inspirational Jewelry on our website.